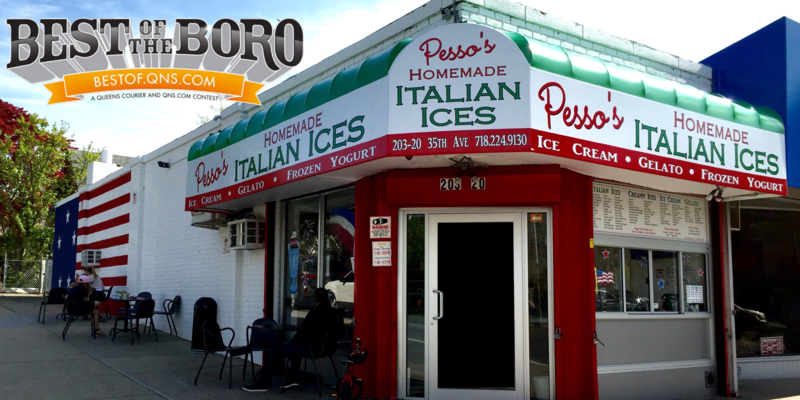 October 8, 2018 Pesso's IcesLeave a Comment on Our Moose Tracks Ice Cream is an incredible mix of Peanut Butter Cups and Fudge hand-swirled through our delicious homemade Vanilla Ice Cream! Our Moose Tracks Ice Cream is an incredible mix of Peanut Butter Cups and Fudge hand-swirled through our delicious homemade Vanilla Ice Cream! Previous It’s Chocolate, it’s Peppermint, it’s Delicious! It’s our Homemade Mint Chip Italian Ice! It’s very refreshing.